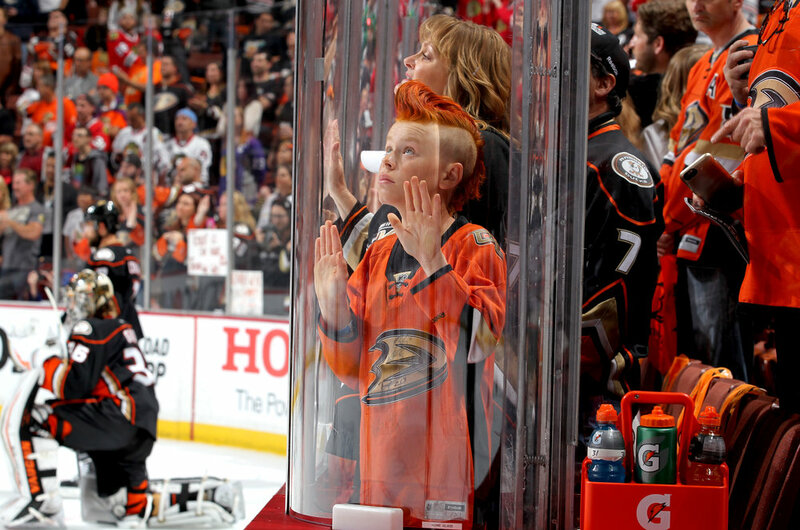 The Wild Wingers Kids Club presented by UCI is the official Kids Club of the Anaheim Ducks! This club gives the younger Anaheim Ducks fans a chance to support their favorite team and celebrate being a Ducks fan! Wild Wingers Kids Club members receive an exclusive Kids Club kit, invitations to Kids Club parties/events and much more! A young Ducks fan getting a chance to ask their favorite players a question at the player meet and greet at Knott's Berry Farm! party with us at knott's! 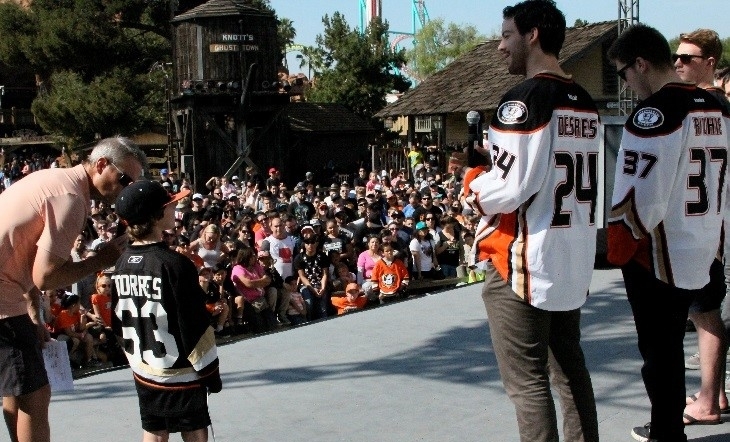 Join us on March 2nd, 2019 as the Anaheim Ducks take over Knott's Berry Farm for our annual Wild Wingers Kids Club Party! You can find your free Knott's Berry Farm ticket inside your Kids Club Calendar. RSVP here to make we save your place for the biggest party of the year! Check In will begin at 10:00am outside the main entrance at Knott’s Berry Farm (Tent will close at Noon so please arrive prior). Go to the Kids Club tent to exchange your voucher for your ticket to the park. You can RSVP through the email link sent out to all current members. Any questions, please contact kidsclub@anaheimducks.com. 2018-19 Wild Wingers Kids Club Kit AVAILABLE NOW! the 2018-19 wild wingers KIDS CLUB KIT PRESENTED BY UCI kit IS AVAILABLE NOW! THE 2018-19 WILL CONTAIN A VOUCHER FOR A REGULAR SEASON GAME, TICKET TO OUR HOLIDAY SKATE ON THURSDAY, DECEMBER 6TH AND KNOTTS BERRY FARM PARTY ON MARCH 2ND! All Kids Club party info will be communicated through email. 2017-18 Kid's club captain is... WILD WING! 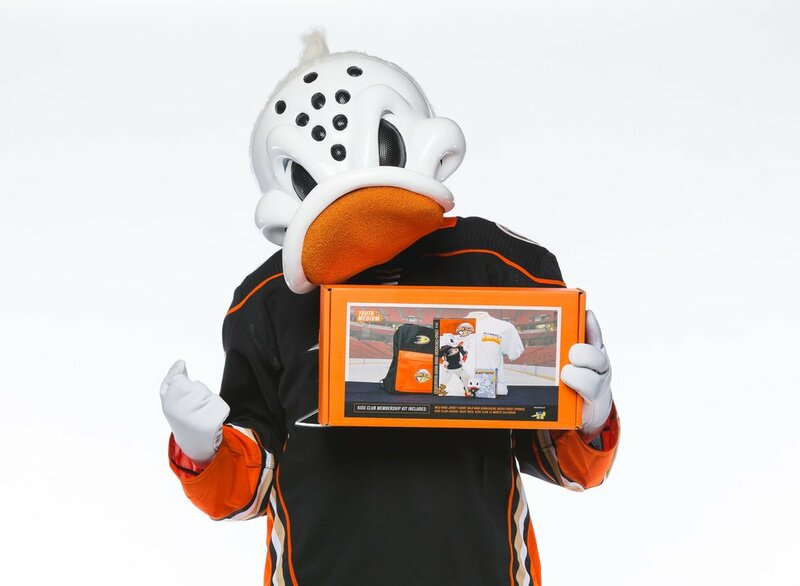 Like our Facebook page to stay up-to-date with Kids Club parties, contest giveaways, and Ducks hockey news!